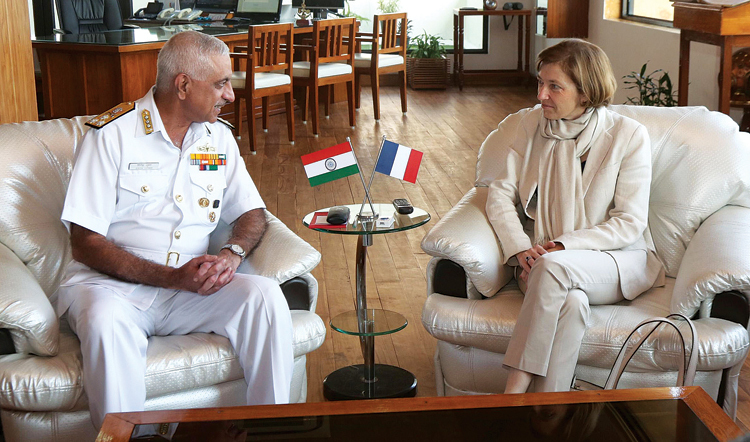 The first visit by the French Minister for the Armed Forces, Florence Parly from October 26 to 28, 2017, to New Delhi signified the sincere wish of the two strategic partners to further strengthen defence and security relations. Besides discussing ways and means to further boost defence equipment and security cooperation, the French minister had two important wish list, which was conveyed to the Indian Defence Minister Nirmala Sitharaman. The first was the additional procurement of 36 Rafale fighter jets and the second was the French desire to extend the Scorpene manufacturing programme in India. Since India urgently needs additional fighters in large numbers for the Indian Air Force (IAF) and more submarines for the Indian Navy, Ms Parly suggested the continuation of the fighter and submarine programme currently under way. The Indian Navy is shortly to issue tender for six additional submarines under the strategic partnership model of the Ministry of Defence. According to sources the French side has conveyed to India that the present joint manufacturer of the Scorpene submarines DCNS can continue the collaboration with Mazagaon Docks Limited under the Strategic Partnership model. Thus the first defence ministerial visit under the Macron Presidency has prepared the ground for the forthcoming first visit to India of the French President later this year. 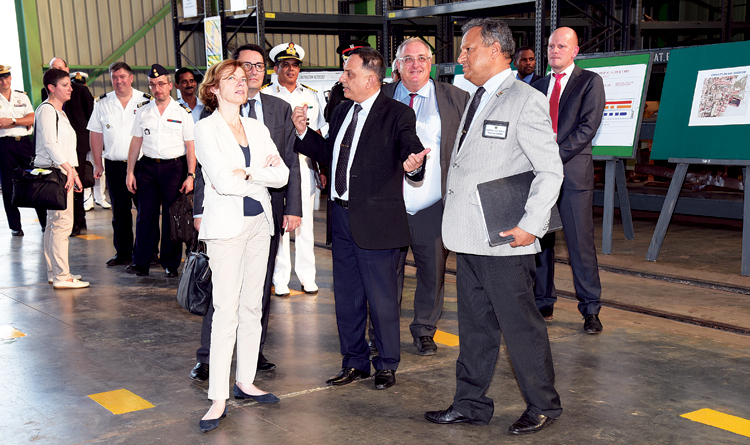 Defence is one of the strongest pillars of India-France cooperative relations, which has deepened over the years. 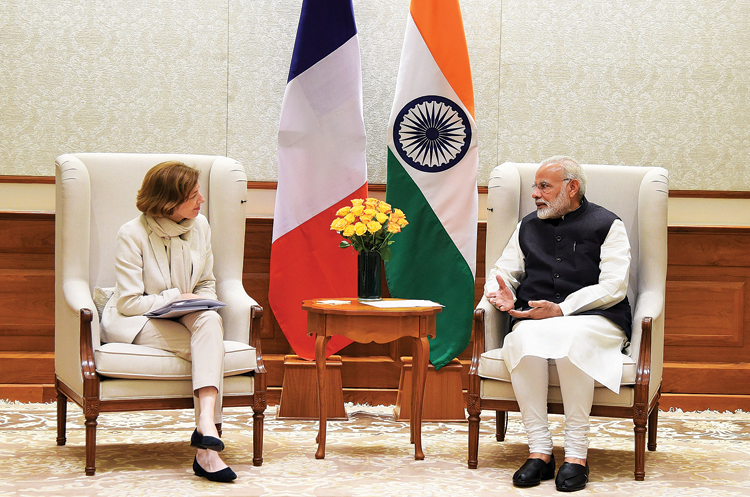 France has always stood by India and provided moral support on crucial moments when India faced international isolation, especially in the aftermath of the 1998 Pokaran nuclear explosion and supplied crucial timely assistance with required spare parts and aviation components during the Kargil conflict with Pakistan. 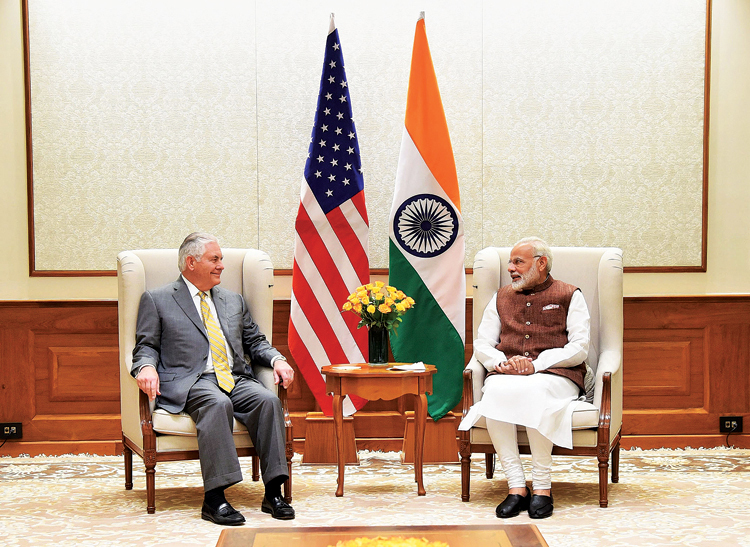 The high level of confidence both the countries have reposed in each other promises to further widen the cooperation in production of various armaments in India. France has provided India with sensitive technological assistance not only in defence, but also in space and nuclear technologies, which has helped India attain self-sufficiency in these two high-tech sensitive sectors. In this backdrop, the French Defence Minister discussed with the Indian Defence Minister ways and means to further assist India in attaining self reliance in the defence sector under the ‘Make in India’ initiative of the Prime Minister Narendra Modi. Ms Parly promised to strongly support projects for defence manufacturing under the ‘Make in India’ initiative as well as promote defence technology and research and development cooperation. As an example of this, the foundation stone of an advanced facility to produce several components of offset obligation for the 36 Rafale aircraft was laid in the presence of the French Defence Minister. The French aviation giant Dassault Aviation in a joint venture with Anil Ambani-led Reliance Group will invest Euro 100 million in Nagpur. The Dassault Reliance Aerospace Limited (DRAL) is being set up in the Rs 6500 crore-Dhirubhai Ambani Aerospace Park in Mihan near Nagpur. This joint venture is expected to start production by the end of year. DRAL will manufacture components for the Legacy Falcon 2000 series of business jets manufactured by Dassault Aviation and will become part of the French major’s global supply chain. The officials of the joint venture have claimed that this is probably the first step of the final assembly of the Rafale and Falcon aircraft. The French side wants to impress India with its offer of manufacturing the future Rafales in India for the IAF. The Dassault investment marked the largest commitment in foreign direct investment in one location in the Indian defence sector. According to Anil Ambani, the Reliance-Dassault partnership will bring high levels of technology transfer and make India a major supplier in the global aviation chain. Encouraged by Dassault’s decision to invest in India, other leading French aviation companies have decided to set up production bases in the park. 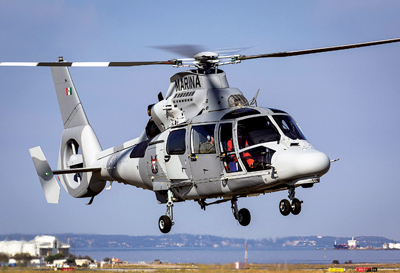 Dassault Aviation has over 65 years long association with India and the latest venture signifies a new era of defence manufacturing cooperation between India and France. For the Indian Navy, the French submarine manufacturer DCNS is helping India produce very advanced Scorpene submarines in India in the Mazagaon dockyard. Giving details of the discussions between Nirmala Sitharaman and her French counterpart, the defence ministry spokesperson said that both sides reviewed the ongoing initiatives to further strengthen bilateral defence cooperation as a key pillar of the strategic partnership between India and France. They also discussed regional international developments of mutual interest. A range of measures to expand military to military ties, including the scope of the bilateral exercises in particular Varuna exercises scheduled early in 2018 was discussed. In addition to the joint maritime exercises, both the defence ministers also okayed the plans to explore additional measures to facilitate operational level interactions between the two armies and the air forces also. Recognising the growing significance of maritime security in the Indo-Pacific region and the need for greater maritime domain awareness, India and France will further expand information sharing arrangements, building upon the ‘Technical Arrangement on Exchange of White Shipping’ information signed earlier this year. Both the ministers also had detailed exchange of views on growing significance of maritime security in the Indo-pacific and the need for greater maritime awareness. Since both the countries share similar security concerns in the Indian and Pacific Oceans, France and India seem to have taken a conscious decision to jointly strengthen each other’s capabilities in the maritime domain.